The Roads and Transport Authority (RTA) is offering excellent work opportunities to expand its team that manages the public transport across Dubai. 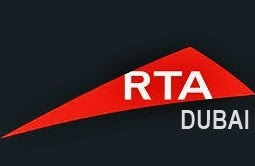 Calling candidates keen to join one of the leading organizations of the Dubai government, the RTA is looking for potential candidates for the posts of chief specialist, manager, chief engineer, accountants, senior accountants, besides other professionals. Interested candidates can apply for the jobsonline. • Assist in promoting Excellence awareness and the concepts of continual improvement across RTA. • Ensure the timely submission of business measurable objectives to the concerned supervisor. • Provide the core role of strategic direction for Crisis Management and Business Continuity Management for RTA, which corresponds to the overall RTA vision, strategy and business needs as directed from RTA senior management.